Hermann Dostal remains today best known for his Fliegermarsch, from Der fliegende Rittmeister (1912). He was the son of a military musician who had strong ties to Austrian band music and studied at the Prague Conservatory before entering the army as a musician, being able to complete his musical studies at the Vienna Conservatory. Franz Lehár Sr. encouraged him to join an Hungarian regiment where he played the harp. He succeeded Lehár in 1902 as bandmaster in another Hungarian regiment and then went on to a number of other regiments. He conducted the very last changing of the guard ceremony at the Imperial Palace in 1918. He then directed various civilian orchestras in Vienna and wrote 4 short operettas. 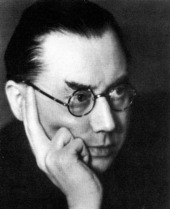 His nephew Nico Dostal (1895-1981), who was born and died in Austria, became famous for his operettas (16) and film music (20). He studied music in Austria and earned his living as a theatre conductor in towns around the country. In 1923 he moved to Berlin, attracted by the numerous theatre and opera houses and worked as a freelance arranger for Franz Lehár Jr., Robert Stolz and Oscar Straus amongst others. He was a master of orchestration. In 1928 he hit the jackpot with a famous song he wrote with Robert Gilbert, and he followed this with a string of operettas. He became closely associated with the Berlin Philharmonic Orchestra from 1940 which he often conducted, his last notable recording with them being made in 1979. Amongst his operettas Clivia, Die ungarische Hochzeit and Manina are the best known. He was a versatile and talented musician who wrote a wide range of orchestral works, which makes it difficult to classify his style.